Those expecting Canada to be a blander version of the USA should check their assumptions at the door. 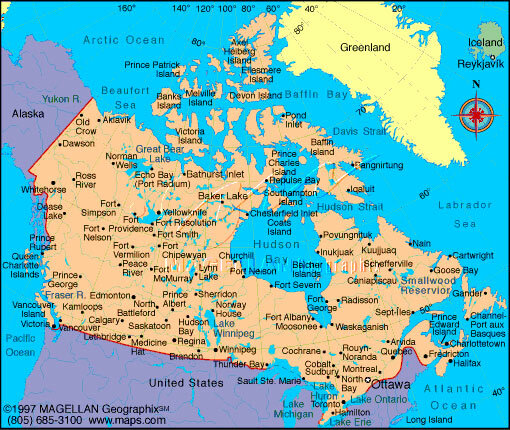 Canada''''s wild northern frontier, which has etched itself into the national psyche, and its distinct patchwork of peoples have created a country that is decidedly different from its brash neighbour. It''''s the edginess between Canada''''s indigenous, French and British traditions that gives the nation its complex three-dimensional character. Add to this a constant infusion of US culture and a plethora of traditions brought by migrants, and you have a thriving multicultural society. With its history, people, landscape and natural beauty, Canada offers an abundance of well-known cities, attractions, parks and regions that make for wonderful destinations whether you''''re looking for a trip that''''s educational, inspiring or just plain fun. But don''''t pass up a chance to explore the less-travelled areas, too - at the fringes of the inhabited world, great challenges, eye-opening experiences and hospitable people await. Major Industries: Processed and unprocessed minerals, food products, wood and paper products, transportation equipment, chemicals, fish products, petroleum and natural gas.